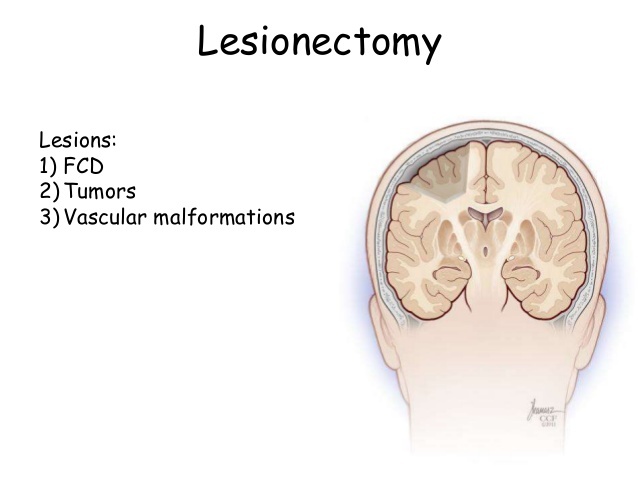 A lesion (or lesions) is a damaged or non-functional area of the brain which is generally caused by a tumour, blood clotting, scars from a head injury, or abnormal blood vessels. Lesionectomy is a useful procedure which surgically removes the lesions. This option is chosen only when the lesions are not fixed or cured with the medications. Who is a Right Candidate for Lesionectomy? Lesionectomy is performed on those people whose epilepsy episodes are linked to a defined lesion, and medications have failed to stop them. It is important to remove the lesions from the brain; if left untreated, they will further damage the healthy tissues, thus affecting the functionality of the brain, movement, sensation and memory. The doctor will inject local or general anaesthesia in the patient’s body, make an incision in the skull, and remove a bone to access the brain. The surgeon will create a window in the brain to remove the lesions with the help of surgical tools, and use a microscope to observe the lesion and surrounding tissues. While performing the procedure, pictures of your brain will be taken for the diagnostic purposes. After the non-functional tissue is removed, the bone is placed back, and the skull is closed with stitches and sutures. Temporary or, in rare cases, permanent memory loss. After the surgery, the doctor will keep you under observation to check your progress. Follow-up appointments are critical as the doctor will keep a check the signs of bleeding, swelling in the brain or any allergic reactions. The surgery may damage the healthy tissue of the brain. It is advised to take the prescribed medications on time.